The subject is literal: cloud phenomena Ruskin observed over the course of fifty years. This very peculiar essay begins by describing normal weather formations, then argues that there are now diabolic ‘plague-clouds’ (a ‘dry black veil’, bitter wind and bleached sun) never before seen. 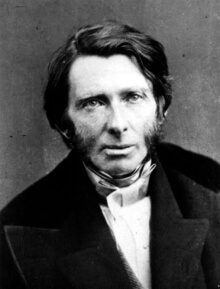 Ruskin guesses their cause, correctly, to be industrial coal-smoke, but these environmental pollutants interest him less, as ultimate cause, than his contemporaries’ moral and spiritual pollution. While opposing scientific writing’s ‘frightful inaccuracy’, Ruskin’s prose is the equivalent of a Turner painting. The first lecture is illustrated with sketches; the second is merely footnotes to the first.